Flann O'Brien at the Palace Bar in Dublin. Photograph: Getty Images. 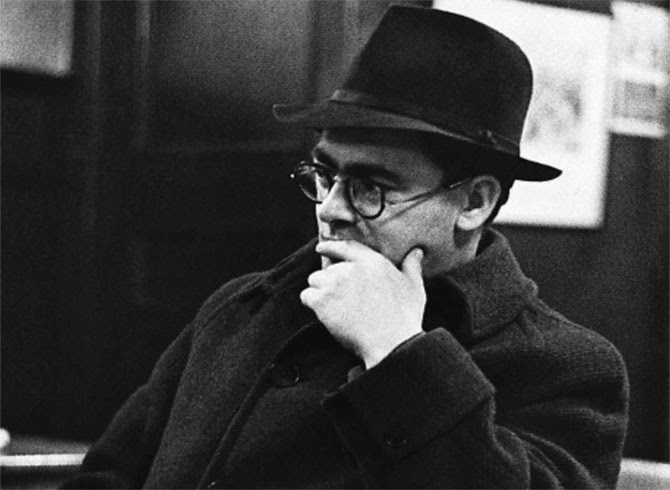 The expanding field of Brian O’Nolan (Flann O’Brien/Myles na gCopaleen) scholarship has undergone a remarkable transformation in the wake of the writer’s 2011 centenary. This renewed scholarly interest has given rise to a range of Cultural Materialist, Deconstructionist, and Genetic approaches, amongst others, that have explored the representation, and indeed the limits of, knowledge within O’Nolan’s oeuvre. His writing continues to resonate within the public sphere, as is attested by the many reissues, adaptations, and collections of his works, including the recent publication of his dramatic works and short stories by Dalkey Archive Press. As Flann O’Brien (At Swim-Two-Birds, The Third Policeman) and Myles na gCopaleen (Cruiskeen Lawn, An Béal Bocht), O’Nolan is celebrated, in part, for his savage parodies of academic institutions, erudite individuals, and pedagogical methods; a reputation that appears to rest uneasily alongside this increasing scholarly attention. The John Burns Library at Boston College acquired Brian O’Nolan’s papers and personal library in February 1997, yet a complete inventory of the latter has only just been compiled and published for the first time in the most recent issue of The Parish Review (2.1, Fall 2013), guest edited by Maebh Long. (A copy of the issue, including the full inventory, is available from the International Flann O’Brien Society by contacting the general editors at viennacis.anglistik@univie.ac.at). This is an important and exciting resource for O’Nolan scholars: the library contains over four hundred books, periodicals, and newspapers in French, German, Greek, Irish, and Latin on subjects as diverse as archaeology, philosophy, politics, psychology, science, and theology. Additionally, there are literary texts from the Classical, Renaissance, Romantic, Victorian, and Modern periods. Due to the complexity of this collection, its potential as a resource for scholarship is only beginning to be examined. A forthcoming issue of The Parish Review (October 2014) will take up the question of how to assess Brian O’Nolan’s personal library, particularly in light of the representation of archives, marginalia, and scholarship across his oeuvre. We will encourage dialogue between frequently polarized critical approaches, asking which O’Nolan we might find between these shelves. Is O’Nolan’s work invigorated or exhausted by questions of influence? Does the representation of scholarship within his work mark a point of potential or resistance for archival approaches? What might be gathered from the annotations and marginalia within this wide-ranging collection of texts? Or should O’Nolan scholarship be spared from such lines of inquisition? The editors invite proposals on any aspect of O’Nolan’s writing, but are especially interested in papers that explore the holdings at the Burns Library and/or investigate the wider epistemological issues that arise within his work. Essay proposals of no more than 300 words should be submitted to theparishreview@gmail.com by 31 January 2014.